Nigeria is proud of Aba, for the creativity, ingenuity and resourcefulness of the makers and artisans working therein. However, Aba has been a promise which for decades has not delivered on its leather industry. The professionals have not evolved their production processes for generations, resulting to products, which have sparks of genius, but which are at the end, defective in quality. Lack of automation is one of the key factors stifling innovation there. The designers and their administrators have failed to learn modern industrial processes, making them largely remaining as craftsmen instead of businessmen. New ways of making modern shoes and bags, by using computer software, to improve specifications and quality, are yet to be adopted, at scale. The implication is total frustration: why can’t Aba rise for Nigeria? Aba is not a man-made cluster. It rose without specific government intervention policies. Also, unlike most global clusters, Aba does not have much affinity to any university and local government lab. The people are the researchers, guiding their business processes, to the levels where they are today. The implication is that Aba leather sector is subsistence, with men working for years with nothing to show for it. It is not seen as a business, it is a cultural career with men having fun, and not being in positions to earn decent wages to help and support families. They make shoes with their hands and barely can find margin to send kids to good schools and cover medical expenses. They are artisans in a global industry, full of legends, who make money doing what they, but in different ways. The poor innovation capabilities in Aba is the weakest link in that city. Poor R&D activities, management talent and infrastructure, make it extremely difficult for Aba to shine. Unlike in the past, when manufacturing firms like Bata dotted the Factory Road (Aba), the infrastructure problem is keeping many multinational firms out of the city, as they cannot setup R&D operations without the necessary basic amenities. The security issues in the past, have also affected the perception of the Enyimba city despite any award Enyimba Football Club had brought to Nigeria. Financing at corporate level that can help transform makers to companies is lacking. Aba has become a Tier 2 city going down the drain of Tier 3 city, in Nigeria. It is a broken promise, because in the Aba leather industry, we have men and women, struggling to have decent lives, in a market with a verifiable demand to meet. They come to work in the morning, they pray for light to come so that they can work.They sing in Ariaria Market and invite pastors to make light come. These problems have been there and it is largely the Nigerian problem. Light has refused to come. And everyone is frustrated, and as soon as the drum of IPOB (Indigenous People of Biafra) beats, men with nothing to do, rise up. Nigerians are entrepreneurial, mobile and ambitious. Some little support can help unlock the opportunities that exist in Aba to compete with Italian brands, at least in Nigeria and Africa. We can make Aba great. In this piece, my focus is the shoe, bag and general leather sector (textile is excluded). Here is how to fix Aba. Aba will need a hub where many designers could share infrastructure. For example, the brand owner can have a dedicated area in Aba where the designers can do their computer aided designs. This is important since some of the design offices are so small that new modern equipment cannot fit. This shared infrastructure means designers will schedule time to come and use them. This will save the brand owner cost and also reduce the temptation to move the designers from their present natural ecosystem. That can happen,in future, but that is not the most important challenge at the moment. The companies that have the brand rights will then help the makers in their networks, who are largely going to produce like franchises with the promise that all the outputs from the makers will be bought. 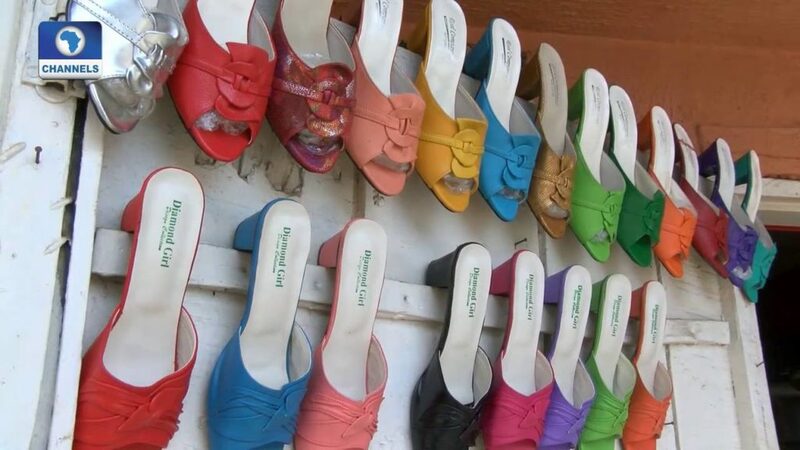 The firm will invest to boost capacity for the designers so that they can produce more shoes and leather materials. For example, a shoe designer producing 20 shoes in a day, can be supported to expand to 200 in a day. With assured right control, the brand owner will be in a position to tap capital to support all within his or her system. A key element of the new system will be quality. The makers have to produce quality shoes and bags. delivering consistent quality which can be sold internationally. The brand owner will give them the specifications and then offer training to assist them do the job right. This will include better materials, use of Computer Aided Designs (CADs) and general automation to improve quality. Quality, defined by the brand owner, becomes the identity of that brand. A globally structured advertising will be done, using the Aba Innovations (Aba needs a city brand which has to be nurtured. While Enyimba is great, something that transcends culture may be needed) emblem and the brand rights. This will go online, and put in TV, newspapers and magazines around the world. We do think Aba is Africa’s Zara and can compete in any market. Developing that advertising must be organically engineered so that authenticity can come in it. Think of a message like “Discovery my story” with products of makers shown and readers asked to visit a website to get that great story. There are many ways the ads can be made, to be organic. The brand owners will be expected to be international with experience in the luxury and non-luxury leather materials. They will open small stores in at least Paris, London, New York and across major African capitals. Quickly, all the five will have strategic partnerships with Amazon.com and Alibaba to reach the world, at scale. Their abilities to keep quality and drive logistics will be strategic. The makers, who are now franchises, will produce for them, making sure they can meet global production capacities. Beyoncé and Jay Z wearing Aba to any popular global event and saying so on live TV or tweet. They bring the African heritage and may ask for cuts. But they can help add global searchlights to Aba. If Beyoncé wears Aba to Grammy Awards, Aba is global. The brand owners must work to secure strategic arrangements with these celebs who can help them drive the message. The indigenous actresses and actors will also help within the African scene. Pete Edochie and Tiwa Savage will be great messengers. The brand owners will commission a documentary, and movies staged in Aba within the lives of families who generate income through the Aba leather industry. The goal is to expand the audience of the city and reach out to the whole of Africa where Nollywood has become Nigeria’s best export. This movie will become a simple way to tell the world about Aba shoes! It is structured marketing and advertising at scale. We recommend the establishment of a new department in Abia State Polytechnic Aba to help facilitate knowledge base in the sector. This department will train, educate and facilitate knowledge and collaboration in the overall area of designs. Inside this department will be a Leather Design Hub where makers and designers can come and learn new processes used by global players. The goal is to be sure of pipeline of designers for continuity and succession management. Aba could be great and has the sparks of genius to compete with Italy and Spain in the leather industry. I have offered some clear strategies to redesign the sector. 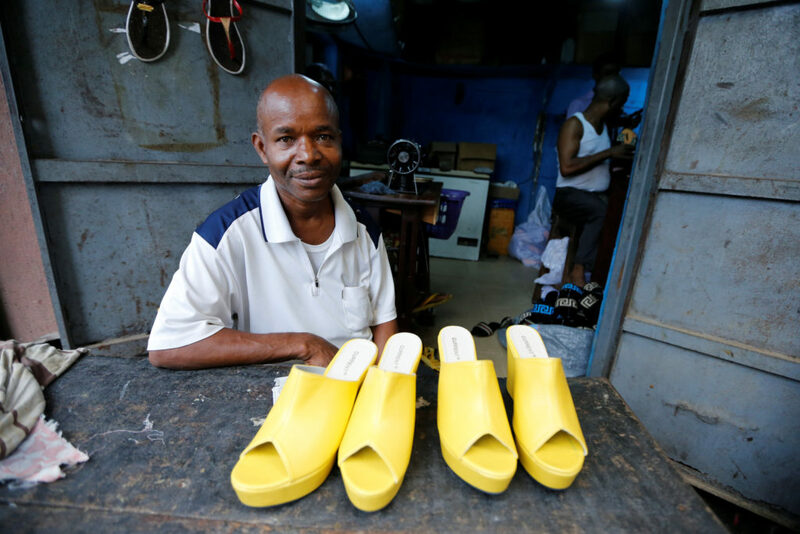 Establish a vehicle that will galvanize the different shoe making entities into brands. Each brand will push for higher quality through better tools and training and advocate more collaboration among players. A requirement that a brand buys from the entities will be established. It will be similar to a merchant buying farm outputs from farmers even as the merchant has provided seeds to the farmers at planting season. Through strategic advertising and marketing, Aba will reach its promise. Aba is a big trading center in Abia State in the southeastern part of Nigeria. It is considered to be the economic heartbeat of the state which has Umuahia as the political capital. It has more than a million people and is home of legendary craftsmen and handcrafters especially in the leather industry. Its main tertiary school is Abia Polytechnic Aba. It hosts Ariaria International Market, one of the biggest markets in West Africa. Enyimba people, the nickname of Aba residents are traders, businessmen and are respected in Nigeria for their entrepreneurial brilliance. Educated or not, they know how to simplify commerce and build new opportunities. Some of the key sectors include light manufacturing in brewery, textiles, pharmaceuticals, plastics, cement, and cosmetics. Aba has a relatively developed manufacturing sector along the Factory Road, very close to the railway station. The iconic Unilever towers in the area along with PZ and Nigerian Breweries. It is a hub for gateway from eastern part of Nigeria to many other regions with luxury buses. Before the collapse of the Nigeria Railways, Aba Railway Station was a strategic hub for moving agricultural produce from the northern part of Nigeria to eastern part of the country. It hosts the most successful, at least at the continental level, football club in Nigeria – Enyimba FC. However, Aba could also look dirty and neglected. The roads are bad with dumps of refuse everywhere. During rainy season, Aba floods. The connecting road to Aba from Port Harcourt was one of the most strategic for the city. But for years, that road has been neglected. The popular Oil Mill Market in Port Harcourt is important to Aba traders just as Arriara Market is to the Port Harcourt dwellers. Because of this, Uyo has been attracting some companies that used to operate from Aba. The traffic congestion problem especially after rainfall is turning once a virtuoso city into decline. Though it would have been the official capital of leather works in Africa, Aba is very notorious for poor branding of its products. 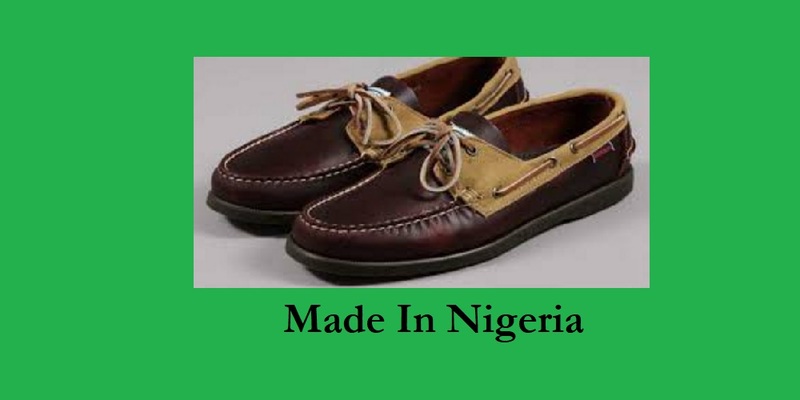 It is hard to see a shoe made in Aba Nigeria with the label that it is made in Nigeria. They feed into the wrong assumption that nothing made in Nigeria will be patronized by customers. So, you see quality products from Aba workshops with fake tags of Italian and French fashion houses. They export them to neighboring African countries but never capitalize on their product pipelines as they never ever claim they made them with their unpatriotic branding. Education will certainly help to change those understandings and help transform the market. We see automation to be the future of this city. Most of their operations especially in craft are manually done, businessmen must use machines to scale and reduce cost. Automation will position Aba to compete with foreign companies that export their wares into Nigeria. But for that to even happen, they must learn to put their labels proudly on their products. Credit: I thank Tony Elumelu Foundation for funding my non-profit African Institution of Technology which has done many research works across many clusters in Nigeria. The outcomes have been published in Harvard Business Review and other leading publications. So many business ideas i have gotten from you free of cost since i started following you on LinkedIN. I am proud you are a Nigerian. Kudos Prof. Honestly, this is a beautiful piece! I was so engrossed reading this. So many business ideas loaded in this!! You just wrote down my thoughts! And gave me a pathway. Thank you Sir.